We always love creating chocolate sculptures with the team at Chocolatician. 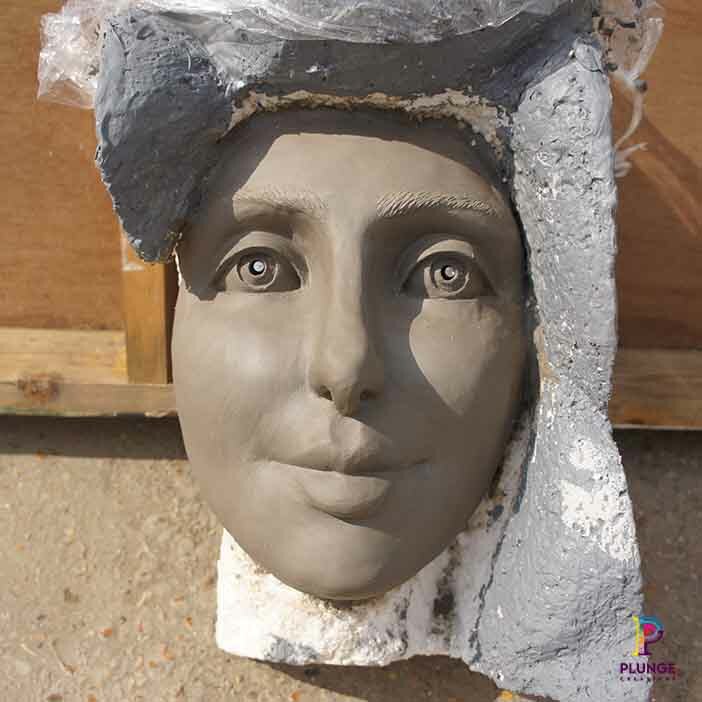 For this latest collaboration, the commission was to create a sculpture representing the logo of one of the biggest coffee shop chains. 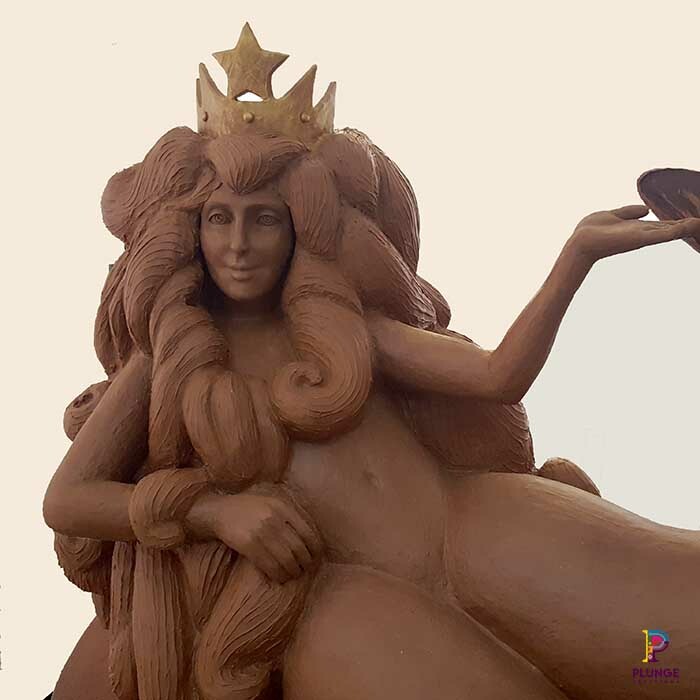 The main body of the chocolate mermaid sculpture was created at the workshop. It was then delivered to Westfield Shopping Centre where Jen and her chocolate team continued to perform their chocolate magic. 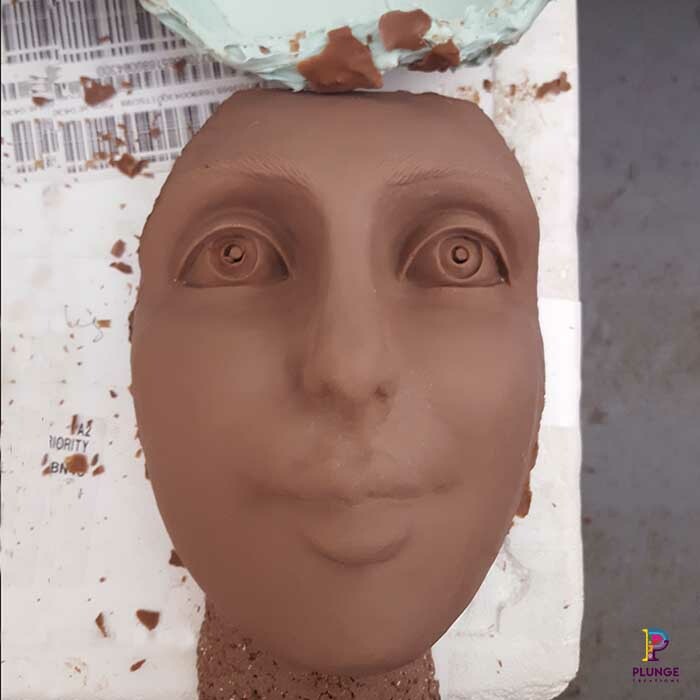 Over the next few days, in front of an audience of shoppers and sightseers, they continued applying the final touches to the chocolate sculpture. This included hand making and applying over 200 scales to the mermaid siren’s tails. 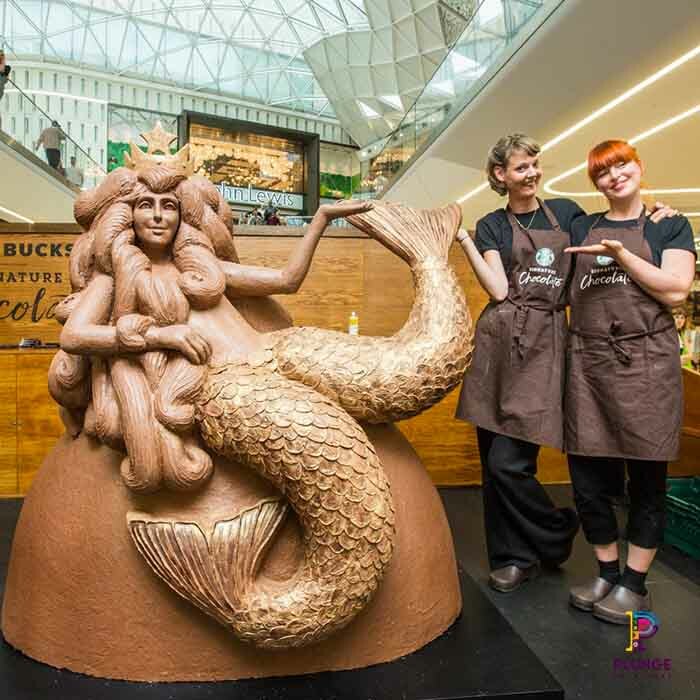 Alongside the creation of this fabulous chocolate artwork, the team were also producing personalised chocolate bars for passersby and giving away promotional chocolate coffee drinks. Similarly to bees to honey, there’s nothing like grand chocolate displays to attract people to your brand. To see some of the other food art projects we’ve worked on, particularly the chocolate artworks, click this LINK.